Bill Hunter is one of the “Wild Men of West County,” the band of winemakers interested in the Pinot Noir grown in far western Russian River Valley and true Sonoma Coast around the towns of western Sebastopol, Freestone, and Occidental. Hunter developed an early interest in wine working as a wine steward at the Chronicle Restaurant in Pasadena, California. The Chronicle Restaurant was famous for its wine cellar and some of its rarest bottles had come from the acquisition of the private collection of Alfred Hitchcock. I went to this restaurant on a number of occasions and probably ran into Hunter during my formative wine loving days. He went on to enroll and graduate from University California Davis (1987), and gained his early winemaking experience at Rombauer, Bonny Doon and Chauffe-Eau Cellars. 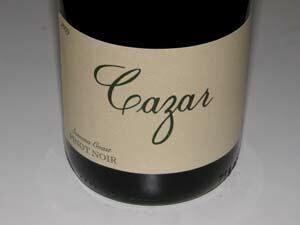 In 1994 he began making some wine on the side, starting with two barrels of Dutton Chardonnay and one barrel of Carneros Pinot Noir. 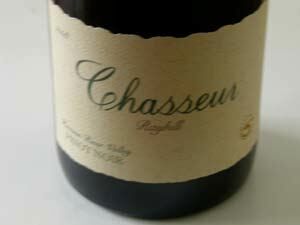 Soon he started his own label, Chasseur, the French term for Hunter. 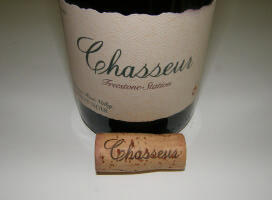 In 2002, he brought on Alex P. Bartholomaus, Managing Director of Billington Imports as an investment partner, and Hunter was able to devote himself fully to winemaking at Chsseur. 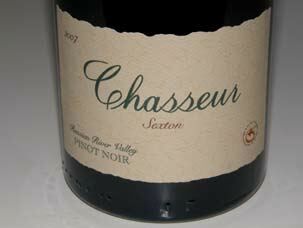 Chasseur produces 2,700 cases of Pinot Noir, Chardonnay and Vin Gris at a winery in Sebastopol, located inside the old Vacu-Dry apple processing plant on Gravenstein Highway. Hunter is basically a one-man operation. The lineup includes 6-8 single vineyard Pinot Noirs from purchased grapes. The wines are well crafted and balanced, but can be similar since all vineyard sources are planted to similar Dijon clones. 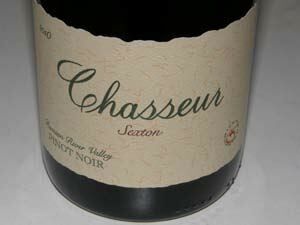 Two appellation Pinot Noirs are also made including a Russian River Valley and Sonoma Coast bottling. 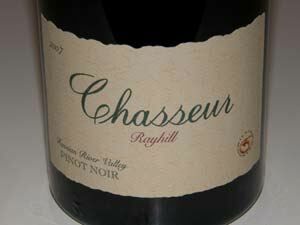 Chasseur wines are highly allocated and sold primarily through a mailing list. 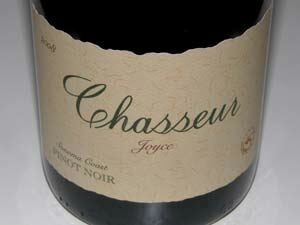 The two appellation Pinot Noirs are produced in larger quantities and are available in the fine wine retail market throughout the United States. 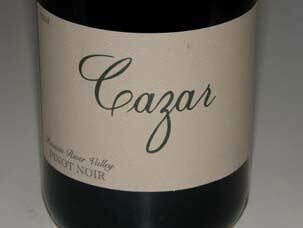 Declassified wine was bottled under a second label, Cazar, replaced in 2011 by the Vria Cote label. The website is quite informative. 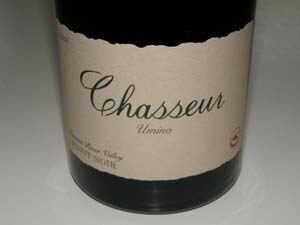 Chasseur operates under the LLC, Hunter Wine Cellars. 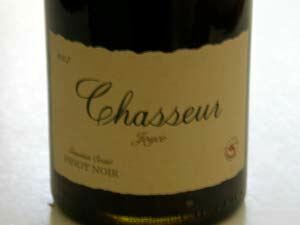 Tasting is by appointment on Fridays (schedule by e-mail: info@chasseurwines.com). The phone number is 707-829-1941.